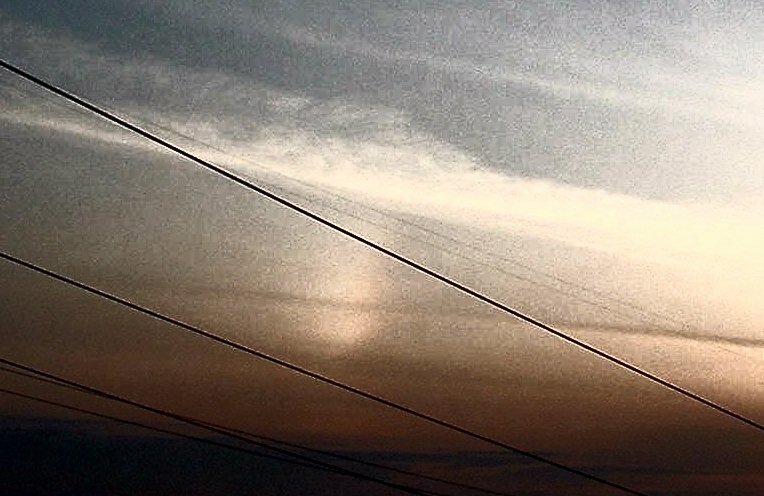 Might be a sundog, however on the original images, and even better on the equalized images attached, you can see that there's a cloud in front of the object blocking the light from it. (Tiny cloud, like a line in front of it). I think sundog's usually don't relate to objects behind them, do they?